In its Wednesday decision, the court said under Israeli law, the Ateret Cohanim group was the rightful owner of the land and entitled to evict the Palestinian residents from thebuildings. However, it also called on the state to do more to compensate long-time residents. The Haaretz daily said some 700 Palestinians lived in the buildings. 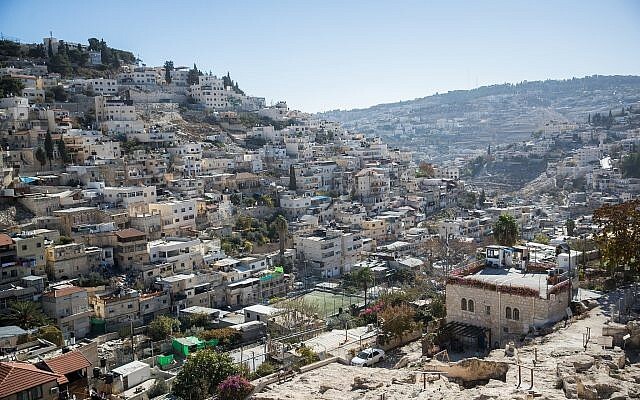 A human rights watchdog slammed the ruling, saying it paved the way for the “cleansing” of Palestinians from the Silwan neighborhood. “However, evacuating people who have occupied the land for decades, some of them without knowing that the land belongs to others, creates a great human difficulty, especially when it is done without compensation or any other solution,” the court said, urging the state provide for the evacuees. “Property rights are important, but so are protecting the rights to have a roof over one’s head,” the judgement said. The dispute centers around the Batan al-Hawa section of Silwan, an East Jerusalem neighborhood next to the Old City, currently home to 20 Jewish families who live among some 6,000 Palestinians. The Israelis live under heavy guard and the area is a frequent flashpoint of violence. It was also the site of Kfar Hashiloah, a village built for poor Yemenite immigrants on the slope of the Mount of Olives in the early 1880s. Jews lived in Kfar Hashiloah from the 1880s until 1938, at the height of the 1936-39 Arab riots, when the British removed them. ncluding the Old City. Those areas were won by Israel during the 1967 Six Day War. that was created in the 19th century to buy a 5,500-square-meters (60,000-square-feet) fish-shaped area of land on which to build homes and a synagogue for Yemenite Jews. In the appeal, the Palestinian residents questioned whether the original trust covered the land or merely the buildings constructed on it, all but one of which no longer exist. The residents argued that the trust covered the former buildings and not the land and that the evictions should therefore be halted. Critics say that Ateret Cohanim has no link to the original Yemenite residents and is just trying to make these neighborhoods Jewish again. Ateret Cohanim has broad support from the Israel government and the Jerusalem municipality. The government is providing $1.23 million toward a $3 million project to turn one of the buildings into a Jewish heritage center that will tell the story of the Yemenite Jews’ immigration to Israel. There was no immediate comment from Ateret Cohanim. “The judgment proves, yet again, that the Israeli High Court gives its seal of approval to almost any infringement of Palestinians’ rights by the Israeli authorities,” B’Tselem wrote. “The judgment was written without addressing the context whatsoever: as though the land were not ‘freed’ by an association whose goal is to drive Palestinians out of their homes; as though the body of law does not allow Jews alone to file ownership for land abandoned in 1948; as though the Court were not sanctioning the broadest move to dispossess Palestinians since 1967,” B’Tselem said.